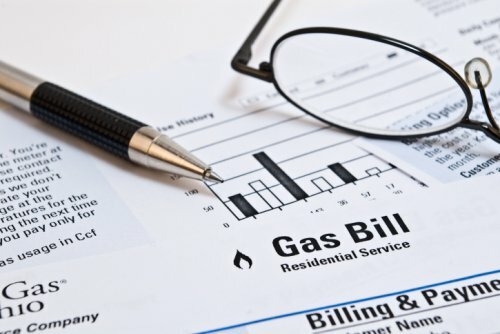 Cooling and heating bills can really take a toll on your wallet, especially during the intense heat of summer and the chilly months of winter. No one should feel forced to endure the hot or cold weather just to save money. Luckily, you can save on your cooling and heating bills using a few quick and simple techniques. A very simple trick to keeping your house warm in the winter and cool in the summer is to use your blinds strategically. When it's cold out, keep your blinds open to let in sunlight and help warm up the house. This also reduces the time you leave your lights on and is thus a great way to save on energy bills in the winter. In the summertime, keep your blinds closed to block out sunlight and help keep your house cool. 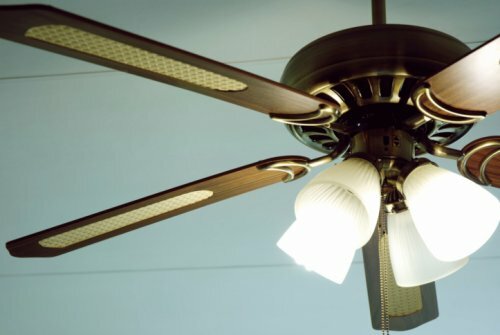 Most ceiling fans have the ability to be switched from counterclockwise to clockwise. When they're set to counterclockwise, which you should do during the hot months, they blow air down, which makes the room feel cooler and offers relief from the heat. You can save on your bills by trying this tactic before rushing to turn on the A/C or to turn it down. When your fan is set to clockwise, as you would do when it’s cold out, the cool air is drawn upward while warm air is pushed down, making the room feel warmer. 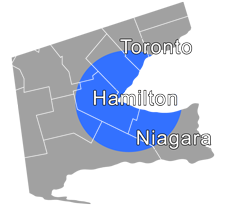 To maximize this effect, keep the fan at a low speed. Filters for heating and air conditioning units should be replaced once at the start of the season and again at the end. This allows them to work as efficiently as possible, saving energy and money. It's a good idea to also check filters at least once a month and replace them if you notice a buildup of dust and debris, and have your ducts cleaned annually to maximize air flow. One of the many reasons it's so difficult to keep a house heated or cooled efficiently is that warm and cold air enter or escape the house through the various cracks and gaps in our home. To prevent this, take note of every place in your home where air could be escaping. Pay special attention to windows and doorways, as these are very common places for drafts to occur. 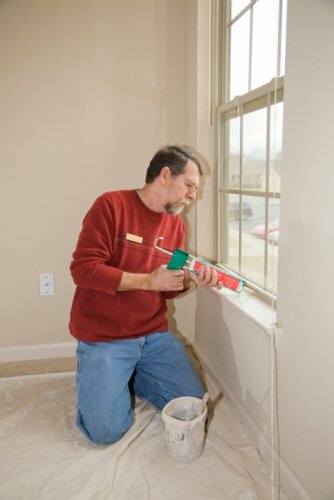 Patch holes or cracks and properly seal doorways and windows with foam or rubber sealing strips. Wood floors may look nice, but they can easily make a cold room maintain its chilly temperature. Carpeting holds heat better and doesn't tend to feel cold to the touch. Even a floor rug can help provide an extra layer of insulation and warmth if you don't want to pay for the installation costs of carpeting. 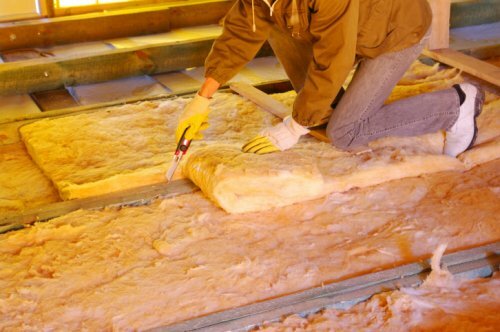 Ensuring that your home has a thick layer of insulation is a great way to cut down on both heating and cooling costs. Insulation is vital to keeping warm air in during winter and cool air in during summer. Do a check of your home's insulation. If places seem too thin, worn, or even wet and moldy, get rid of any old insulation that seems ruined and fill in sparse areas. You can have this professionally done if you prefer not to handle insulation yourself. In the winter, you can lower the temperature setting on your thermostat while you're away or at work to prevent unnecessary use of the furnace when no one's home. If possible, put your thermostat on a timer to allow your house to automatically regulate its temperature based on a schedule. For example, you can have it set to turn down a few degrees at night during winter, decrease even more when you're away at work and then go back up to a more comfortable level a little while before you come home. You can do the same thing in the summer—if you don’t have pets that might suffer, increase the temperature setting to minimize air conditioning use when you’re not home. If you have a programmable thermostat, you can set it to adjust to a comfortable temperature shortly before you get home again. Heat registers, air conditioner vents, radiators, and more should all be unobstructed to maximize the airflow in the house. Not only is this beneficial for your energy bills, but it is also a good safety tip. Certain items can catch fire if they're too close to or on top of heaters and radiators, so it's best to ensure that everything is a safe distance away. When you're outside on a hot day, the shade from a tree can feel like a lifesaver. The same cooling effect can also be beneficial in your home. 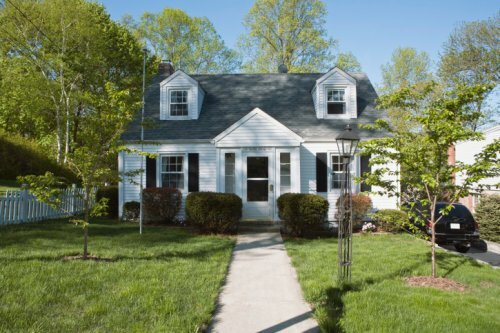 Planting a few trees or bushes to shade your windows can significantly decrease the temperature in your home. While nearly any tree can work wonders for this effect, it's even more beneficial to use deciduous trees rather than conifers. The reason for this is that you can use the shade from the trees in summer to help cool your house while the leafless trees in winter can allow sunlight to come through your windows and help warm your home. Older furnaces and air conditioners might be costing you money due to their often inefficient operation. Furnaces these days have very high efficiency ratings and can help reduce your energy usage, saving you money on your monthly bills. Contact Shiptons today for a free, no-obligation consultation to see if a new furnace would be beneficial for you. .